BRIEF CAMP DESCRIPTION: Run away for the day at Circus Center’s Summer Day Camps from June 4 to August 24. We offer kids ages 7-13, a safe, fun, and supportive environment to challenge themselves by exploring the circus arts. We offer four different camps: Acrobatics, Discovery, Aerial, and Flying. Sign up today by calling 415-759-8123. Dance, Theater, Fine Arts/Crafts, Cheerleading, Weightloss, Gymnastics, Team Sports, and more. Circus Arts. CAMP LOCATION: We are located in the heart of San Francisco, just steps away from Golden Gate Park and Kezar Stadium. One block from the Willard stop on the N-Judah line, and we have a passenger drop-off/pick-up zone reserved right in front of the building. CAMP FACILITIES: Our historic Art Deco facility houses year-round circus arts training in flying trapeze, acrobatics, aerial arts, clowning and more! 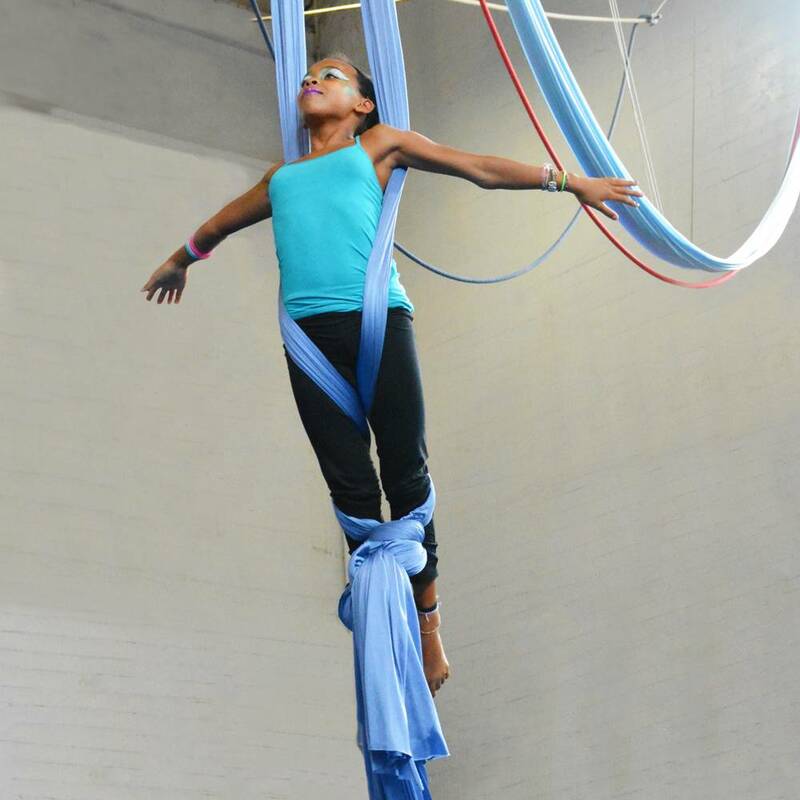 We have the ONLY indoor flying trapeze rig in the city! CAMP PROGRAM INFO: Your kids can do something truly different this summer! At Circus Center, our week-long Day Camps offer a fun, safe, supportive, and challenging environment where children explore the many skills that create the circus arts! Our CPR and First Aid-certified instructors are professional circus artists who have extensive experience teaching children and adults. Your kids will build fun and unique skills, burn off all that energy, and learn valuable lessons in collaboration and self-confidence. Sessions run every week between June 4 and August 24, 2018. Fee: $276-450/camper.